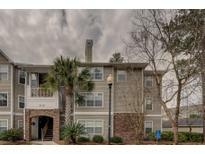 Below you can view all the condos for sale in the Midland Terrace subdivision located in Summerville South Carolina. Listings in Midland Terrace are updated daily from data we receive from the Charleston multiple listing service. To learn more about any of these condos or to receive custom notifications when a new property is listed for sale in Midland Terrace, give us a call at 843-507-4823. Close to a Variety of Restaurants,and All types of Shopping and Medical facilities are nearby.A Must See! MLS#19011307. Era Wilder Realty. Included in the price is a separate storage unit.If available, you can rent a garage unit for $95.00 per month. MLS#19011024. Carolina One Real Estate. The property also has a detached storage unit, which conveys with the property, with an acceptable offer and as part of the sales contract. MLS#19007073. Jeff Cook Real Estate Llc. New wood tile flooring ingreat room, dining room, sunroom, and hall. MLS#19006254. Bhhs Carolina Sun Real Estate. Monthly HOA includes coverage for everything exterior, termite bond, water, sewer and trash. MLS#19003508. Keller Williams Realty Charleston. 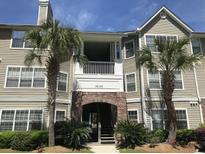 conveniently located close to shopping dining and more! Come see For yourself! MLS#19003324. Coldwell Banker Residential Brokerage. A fantastic opportunity to live in the Lowountry! ! MLS#19001522. Radekopf And Associates. Don't miss out on an opportunity to live in this relaxing and serene atmosphere ! MLS#18032103. Southern Shores Real Estate Group. This property would be suitable for a primary residence or for an investor. MLS#18031710. Era Wilder Realty Inc. The neighborhood of Midland Terrace offers grilling/picnic areas, a pool, clubhouse, play park, and a car wash area. MLS#18029012. Era Wilder Realty Inc.
Each home comes with thoughtful upgrades including sun rooms for extra entertaining space, ceiling fans, blinds, flattop ceramic stoves, dishwashers, refrigerators and full size washer and dryer connections. MLS#18019408. The Cassina Group.